Yep, that’s what many people call me, “Paella Man!” and with good reason. I really am the Paella man. I own and operate the outside catering company called Your Paella. I started cooking delicious Paella when I was living in the Costa Del Sol, southern Spain. I really enjoy cooking Your Paella and receiving really nice comments about how its presented and how it has a fantastic taste! You can read some of our past clients reviews just click here. 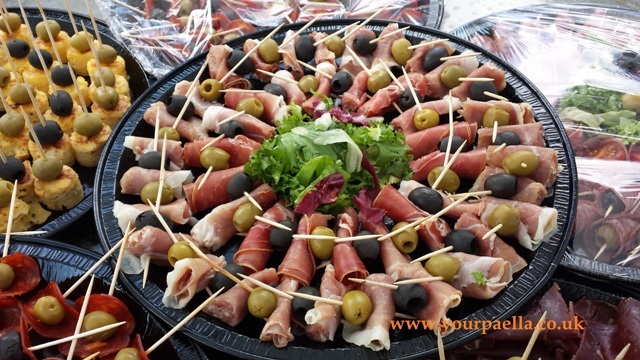 We cook all the types of Your Paella on our famous Paella Cart. 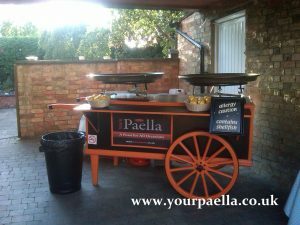 It really has the wow factor and our clients and their guests love to watch us cook on the Paella Cart. Your Paella’s famous Paella Cart. 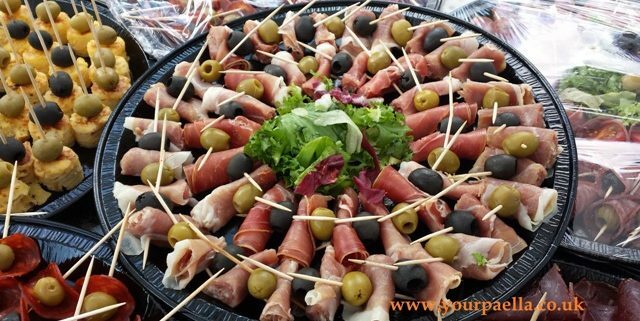 Perfect for any party! Although I started from humble beginning’s, the company has fast become the preferred choice for outside catering Paella. So much so that there are now more than just one Paella Man, we now have “Paella Men!” and the menu we now offer has so much more than the Paella that I started with. Because our clients wanted more than Your Paella we have now started providing delicious tapas as part of our service. 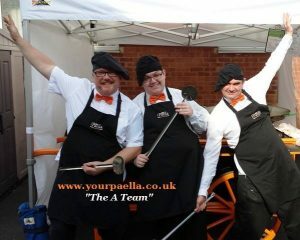 So the next time you or someone you know is thinking of hiring an outside catering company, take a moment to think of “The Paella Man!” Just visit www.yourpaella.co.uk for much more information. 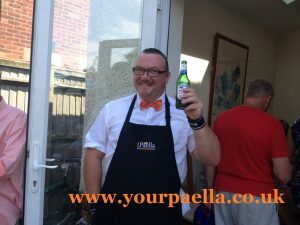 https://www.yourpaella.co.uk/wp-content/uploads/2017/05/Your_Paella_Tapas_selection_06.jpg 360 640 Gary Evans https://www.yourpaella.co.uk/wp-content/uploads/2019/01/logotrans1-300x106-300x106.png Gary Evans2014-05-20 14:18:532017-06-11 22:33:19Paella Man! Paella Customer Review. Garden Party!